A grand five bedroom detached home has hit the market for the first time in half a century. 27 Boroughbridge Road in Knaresborough is open to view by appointment only this weekend between 2 - 3pm. It is on the market with a guide price £625,000. Senior Associate Nick Alcock, who is the branch manager at our Knaresborough office – the estate agent marketing the property – said: “This is an excellent opportunity to acquire a most attractive five bedroom detached family home that is not only characterful, but set amidst delightful gardens extending in all to approximately 0.28 acres. 27 Boroughbridge Road has three large light-filled reception rooms and a breakfast kitchen. 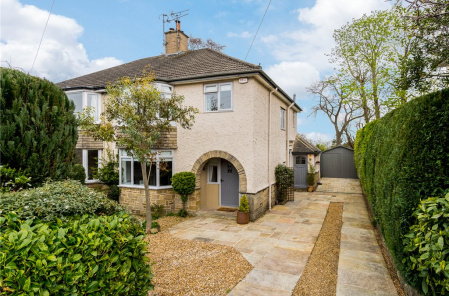 The attractive double fronted period family home is set amidst large gardens and has been in the same family for 50 years. 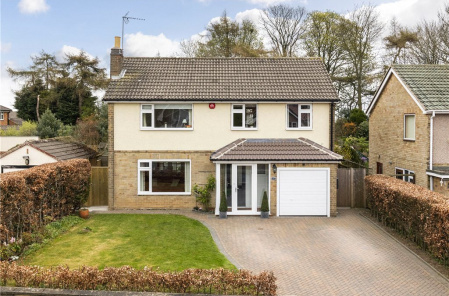 Nick added: “It represents an increasingly rare opportunity to acquire a stunning family home, which is now in need of modernisation.” An attractive panel and stain leaded glazed front door and surround leads to a spacious reception hall with a return staircase to the first floor. The lounge has a deep walk in bay window to the front, which is mirrored by the sitting room which has an open fire. All the reception rooms have high ceilings, deep ceiling cornices and picture rails. 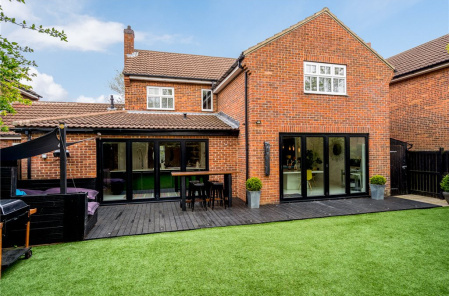 The dining room has French doors that open to a conservatory, which takes full advantage of the views over the large back garden. The breakfast kitchen also has a pleasant aspect over the rear garden. There is a return staircase to the first floor where there are three double bedrooms, all with original feature fireplaces, and a single fourth bedroom which would potentially make an en-suite for the master bedroom, and the fifth double bedroom is on the second floor, which enjoys an elevated view to the rear. There is a separate WC and house bathroom.